Specialist plastics packaging technology business Petainer (www.petainer.com) has developed its ‘greenest ever’ refillable bottle – further improving the sustainability of what is already one of the most environmentally-friendly forms of beverage packaging. The new bottle is manufactured using more than 25 per cent post-consumer ‘one-way’ recycled PET (PolyEthylene Terephthalate) plastic but has the same performance characteristics as a refillable bottle made entirely from virgin material. Nigel Pritchard, group chief executive of Petainer, said: “This is a very exciting development. Refillable bottles are already the beverage packing system with one of the lowest environmental footprints. This massive advance in the use of recycled material makes refillable bottles even more ‘eco-nomic’. “They are ‘eco-friendly’ because they use up to 90 per cent less virgin material per filling. This performance is improved even further by the introduction of post-consumer recyclate which means that the bottles now require less energy and other resources to manufacture. “They are also economic in the traditional sense because the environmental benefits translate into lower costs. As the cost of PET resins inexorably increases, the economics of refillable bottles using recycled material become even more compelling. Petainer is now working with bottled water companies, carbonated drinks producers and brewers across Europe to put its new ‘greener’ refillable bottles into use. Research has demonstrated that refillable bottles – which are returned to the retailer by the consumer once emptied, then sent to the beverage manufacturer for washing and refilling – have a lower carbon footprint than one-way bottles that are thrown away after use. This is the case even if one-way bottles are recovered for materials recycling. Petainer, which manufactures both refillable and one-way bottles in PET, is a leader in the use of recycled materials in both types of bottle. It has demonstrated that one-way bottles can be manufactured from 100 per cent recycled material. Petainer’s latest developments in manufacturing technology allow more than 25 per cent of post-consumer waste from used PET bottles to be included in refillable bottles. The company is now working on improving the use of post-consumer recyclate even further. The ‘greener’ bottle’s performance is identical to the performance of conventional refillable bottles. It gives the same number of ‘round trips’, has the same top-load strength which allows it to be stacked in the same way as other refillable bottles, and provides the same level of retention of CO2 in carbonated soft drinks. 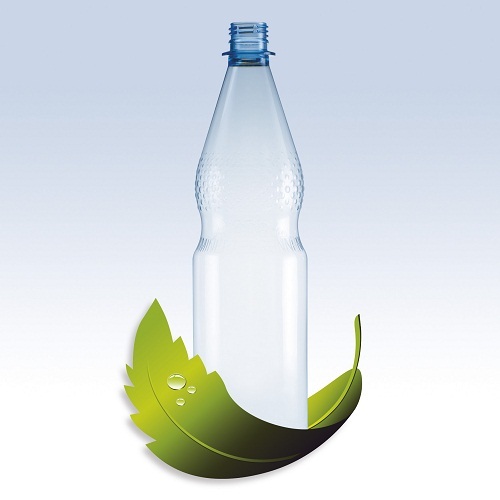 The technology can be applied both to bottles manufactured in Petainer’s own plants in Sweden and the Czech Republic and also to bottles blown from Petainer-supplied preforms. A company using one-way bottles can spend around four to five times as much on packaging as a company that bottles the same quantity of beverage in refillable bottles, which it needs to replace only once in every 20 trips. The total PET used per filling is 90 per cent lower for the refillable container, which is improved even further with this development in the use of post-consumer recyclate.